Du Xianhui file photo, in bright green second from the right. Our field specialist Du Xianhui has met the SEA Games qualifying mark for the women shot put 4 kilograms event. The 32-year-old achieved such a feat during the weekend at a China meet in Liaoning on 29th July. Du who is on a comeback trail improved her season-best of 13.66 metres set last June at the Singapore Open T&F Championship. 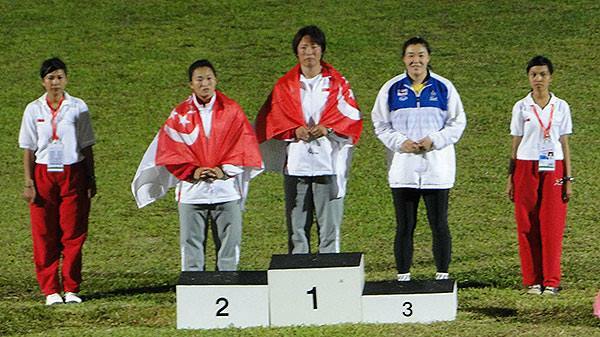 She is set to become the sixth Team Singapore athlete to have met the SEA Games qualifying mark for an individual event. 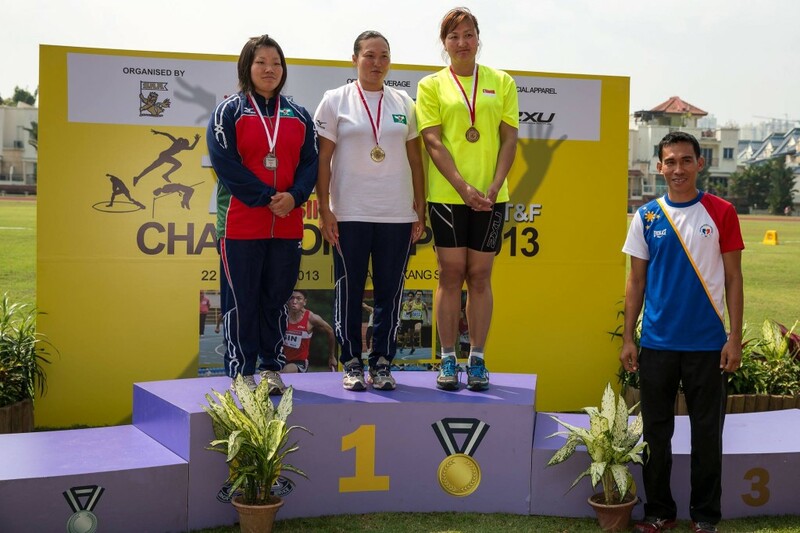 The next upcoming 2013 Series Race Walk Competitions is on 18.08.2013. You can signup here Entry Form. 19 DAYS TO THE 14TH IAAF WORLD CHAMPIONSHIPS 2013. It is the next International competition where we will be sending a Singapore athlete under the wildcard entry. 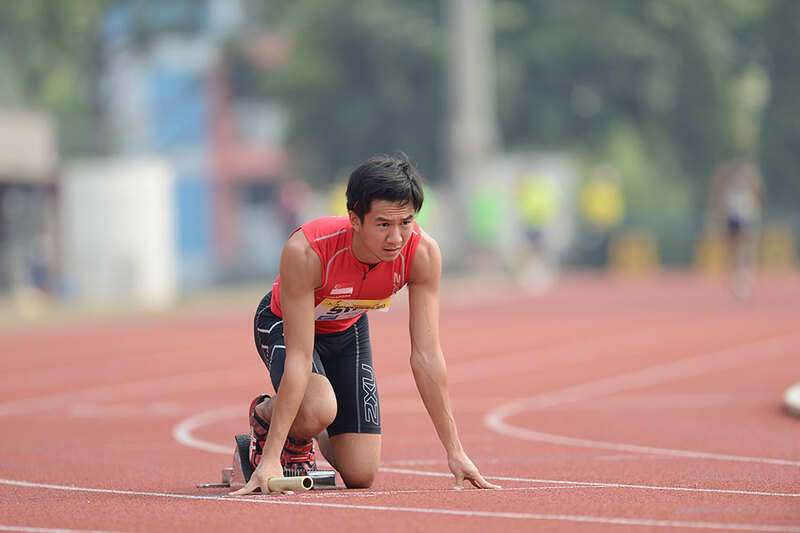 Calvin Kang Li Loong, current national sprinter has been officially selected by SAA to represent the Republic. 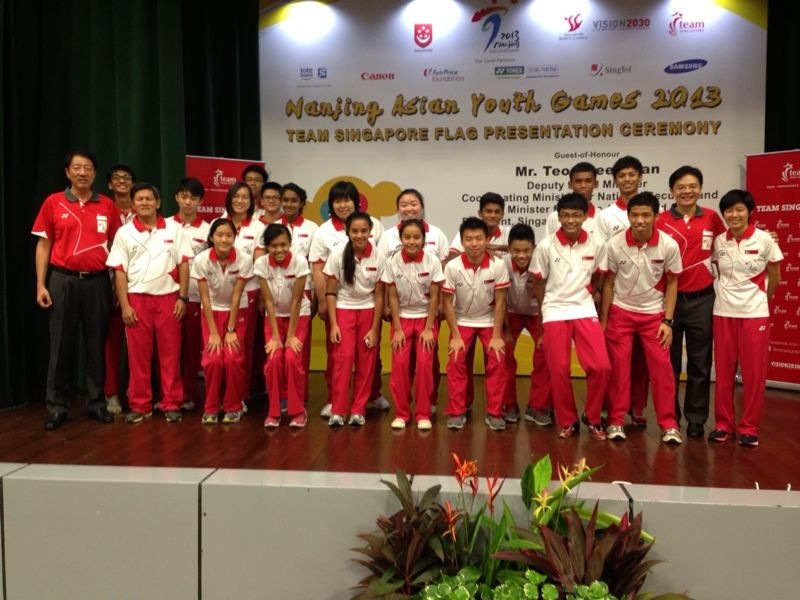 Having joined the Singapore Sports School in 2002, the young sprinter flourished under the school world-class integrated academic and sports programme. He is currently 22-years-old and has a personal best of 10.53 seconds in the 100 metres and 21.68 seconds in the 200 metres. We’ll be using the following hashtag ‪#‎ckworldchamp‬ at Facebook & Twitter for his exploits in Moscow. Feel free to use post, share & retweet the hashtag. 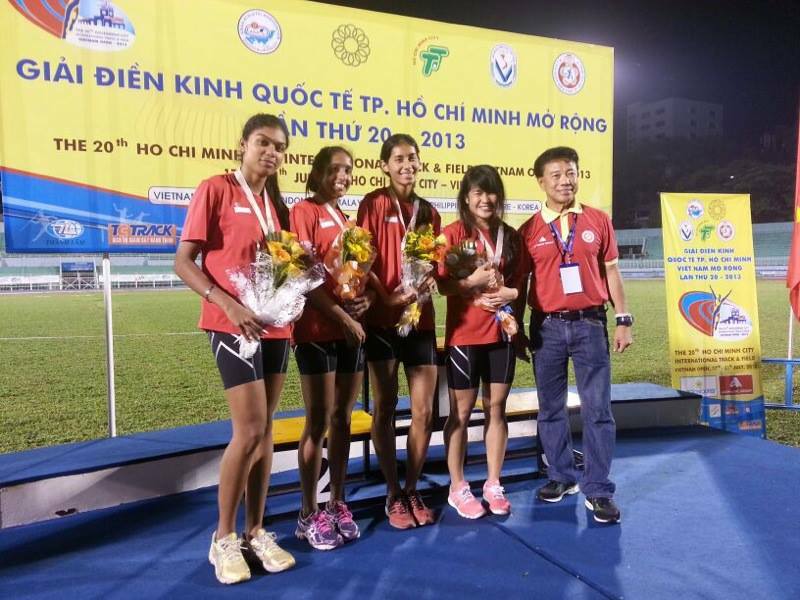 The 4x400m national women team ran 3:47.82 at Vietnam Open. They grabbed silver medal and it is a new Under-23 women 4x400m record, pending ratification by SAA. The old mark was 3:48.16 set in Taiwan Open in May. They’re chasing the SEA games qualifying mark is 3:45.03. The lineup consist of Shanti Veronica Pereira, T. Piriyah, Dipna Lim-Prasad and Wendy Enn. Zhang Guirong 15.47m effort in a competition in China, Liao Ning 17 July is better than the silver medal SEA Games 2011 mark of 14.59m but still short of her 16.96m gold effort in Palembang. The 35-year-old is the SEA Games defending champion and has a PB of 18.57m in the 4kg shot put event, which is also our women national record. Following the 20th Asian AA Congress held at Pune, India on 1st July 2013, there’s an updated version (July 2013) of the Asian AA Constitution are available for viewing on the Asian AA website. Following the 20th Asian AA Congress held at Pune, India on 1st July 2013, Mr. Chan Chow Tin was elected as one of Asian Athletics Association Technical Committee while Mr. Ghana Segaran is now part of Asian Athletics Association Cross Country & Road Running Committee. 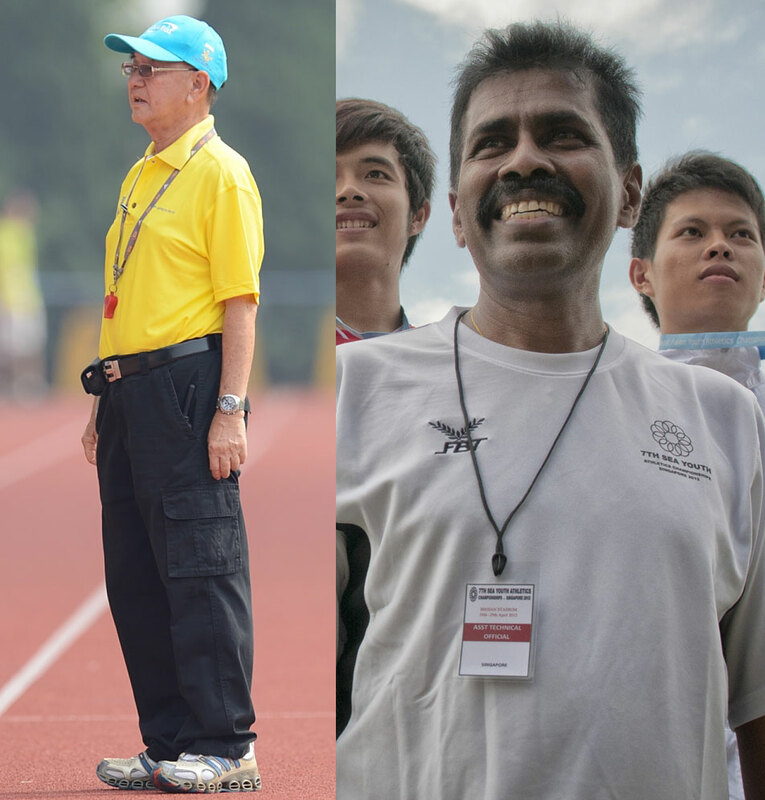 Mr. Chan Chow Tin and Mr. Ghana Segaran are also our local Area Technical Official and SAA Chairman, Cross Country & Road Running respectively.